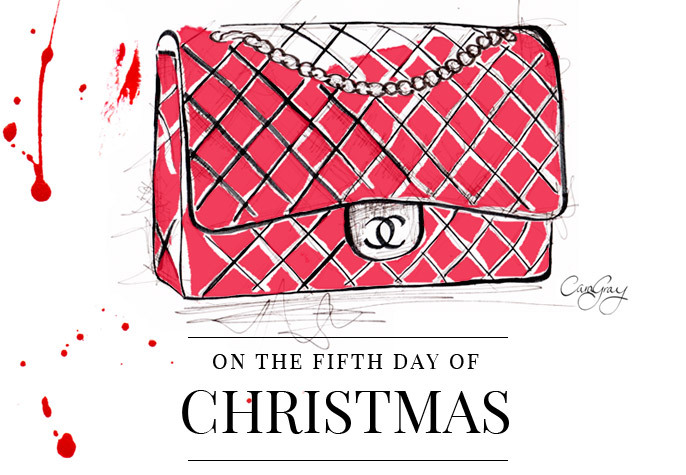 Are you dreaming of a Chanel Christmas? As much at home on your wall in a frame as it is holding your belongings; Chanel’s iconic 2.55 quilted handbag is still at the top of my Wish List. Coco Chanel designed the 2.55 as she was tired of carrying her handbag in her arms and wanted to free up her hands. The 2.55 has since become a handbag icon; with over 30 new models created each year. Immediately recognisable for its immaculately white ceramic look, Chanel’s J12 series has become a timepiece classic. Elegant, worldly and really rather grand, a beautiful watch can make any outfit or occasion instantly more chic. A classic piece is one you will still be loving and wearing when your granddaughter is old enough to covet it. What better way to describe the longevity of the iconic style and timeless allure of the Chanel jacket. And it is now the topic of a photographic exhibition dedicated to Karl Lagerfeld’s latest book, “The Little Black Jacket: Chanel’s classic revisited by Karl Lagerfeld and Carine Roitfeld”.